Semi Low Profile Pallet Trucks are designed for handling lower pallets or stillages where a standard Pallet Truck will not fit. 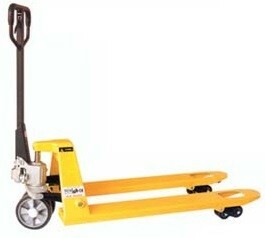 - Popular for use with US pallets. - Lift Height: 75 - 190MM.